George Cruikshank (1792-1878), was an English caricaturist and book illustrator. 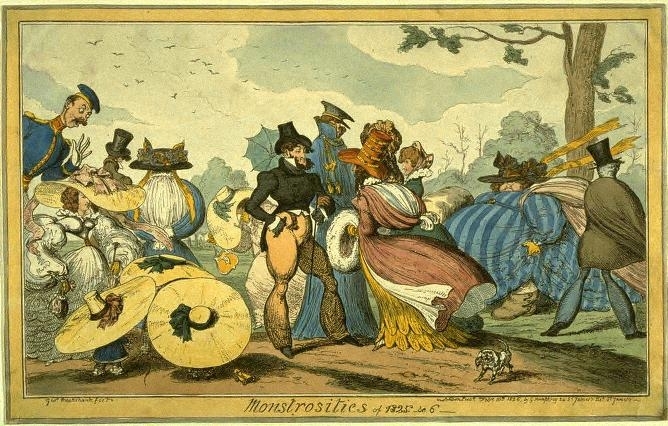 Dubbed the “modern Hogarth”, he became famous for his social caricatures of English life. 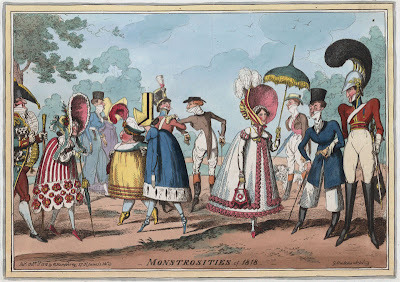 Among his most renowned works are the “Monstrosities”, a series of prints, which were published annually from 1816 to 1828, ridiculing the fashions of his time. Here are a few of the prints. As always, click on the pictures to enlarge them. At the time, women wore large bonnets and dresses that created a conical, angular silhouette, while the men showcased tall cravats and tailcoats with narrow tails. All these trends are exaggerated in this print. In addition, Cruikshank also makes the skirts shorter than they actually were. 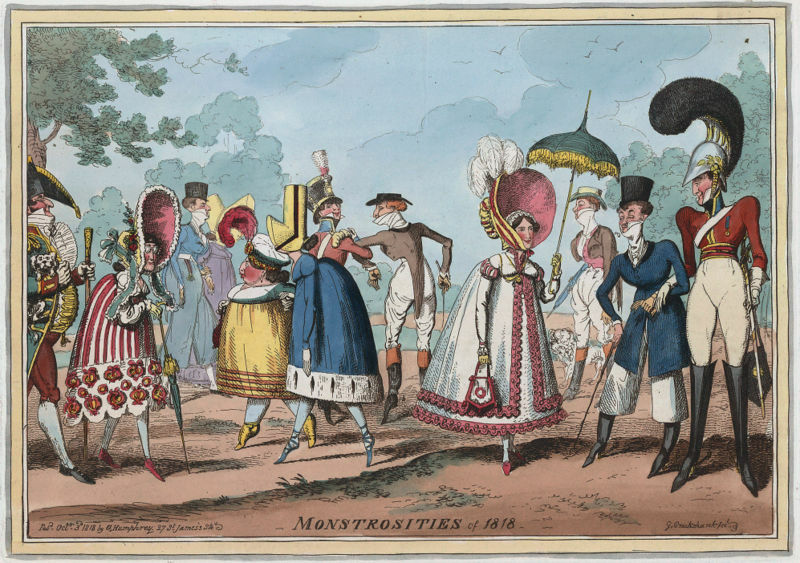 This plate is similar, only the bonnets have now become so large you can’t see women’s faces anymore! The black poodle is a symbol of dandysm. 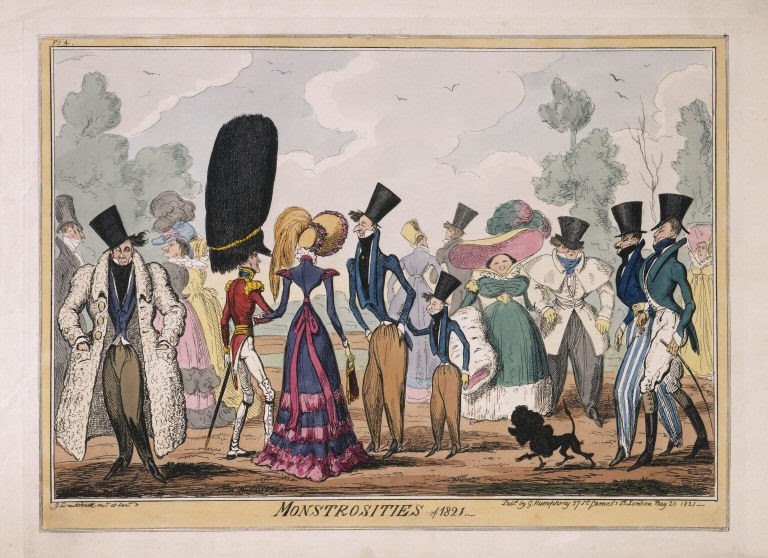 It seems to be derived from the French custom of shouting “French dog” to men who wore exaggerated fashions. 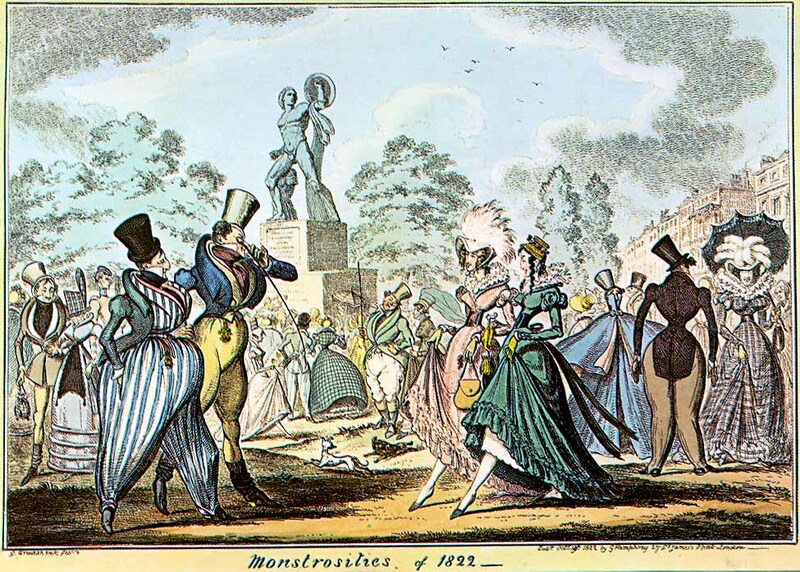 The men wore trousers that were large at the hips and gathered at the ankle. Stripes seem to have been popular too.. The wind is playing with the ribbons that are decorating the huge straw hats. 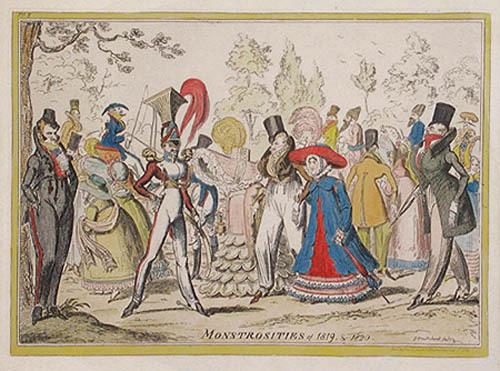 The women also sport pinched waistlines.